Another month, gone by a tad too quickly for my liking! Hazel remains a really happy baby, and luckily, has been ok with being ignored and/or dropped in her crib/chair/floor when Max needed my attention immediately (oh potty training! fun times!). She wakes each day with a smile and as soon as she gets your attention it’s all baby talk and excited screams (video here if you want 10 seconds of baby talk). Briar Rose Strawberry Patch quilt. This entry was posted in baby and tagged 3 months, max & hazel. Bookmark the permalink. Your children are so precious!!! Look at those little angel faces. Good job. sooo cute and absolutely gorgeous !! What a treasure. Adorable kids !! Lucky mommy ; wishing them always healthy and happy.. The video melts my heart! Soooooo precious!!!! Ah yes, it does get a bit wild when they’re hungry. Your two are utterly adorable, such lovely pictures. Such beautiful babes. My little one just turned 6 months and I am doing everything in my power to slow down time! I just can’t believe that he’s already so big. Impossible but adorable. OMG! Adorable overload….lol. She’s growing so fast, I can’t believe it. Potty training is one of the first “joys” of mother/father-hood. A tip my mom gave me that worked (who knew)was to keep the potty chair in the room that you spend the most time in. That way they are closer to it, and see it when they first have to go. Is Max reaching for his bribe, er, treat, for posing with Hazel? Thanks for the amazing update. I have a picture just like the last one of my two kids. Beautiful memories. Now they have 21 and 18!!!!! Enjoy them they are so adorable and Hazel has grown a lot. The quilt beautiful as always. What adorable children! You are blessed! They are both so cute! Enjoy every moment! Awww – just gorgeous. Those big pairs of eyes would melt any heart. 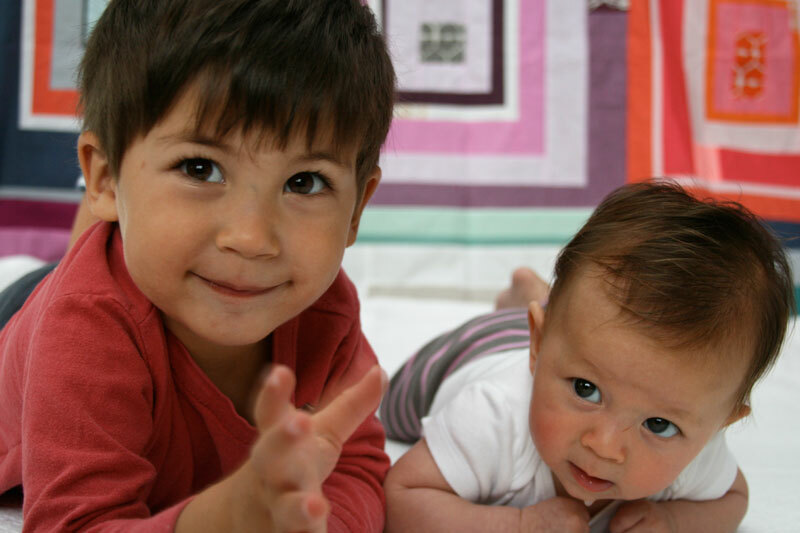 I love seeing photos of your children as much as your quilts. Two darling little ones! I’m sure are cherishing each day with them! Your children are beautiful. . .you are very blessed! Oh how precious your children are. 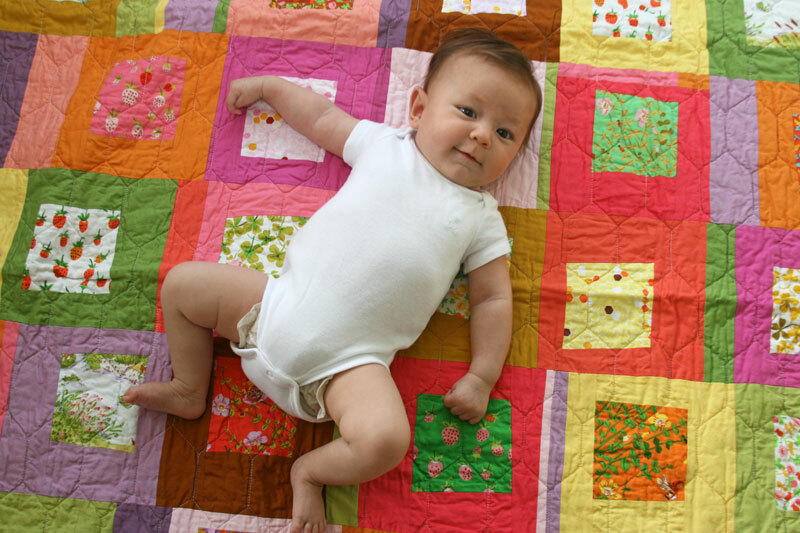 The quilt that Hazel is on is such a cheerful quilt. You have lovely children! Try plate of raw veggies on the table while you cook! Where do I start? That dark hair? Those kissable cheeks? Precious – both of them! Yes, mine get the “hungry crazies” too. 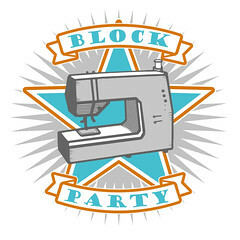 The 5 to 7 p.m. block is just one mad dash around here! thanks for including pictures and updates on your children. They are soooo dear. Us “grandma age” without grandkids yet really appreciate them. Your children are so beautiful and I am especially touched that you seem to be able to stay in the moment with them and cherish this time in your lives even with what I am sure is your hectic schedule. I always have loved your work. 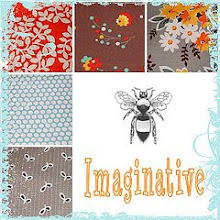 You were the first blog/website I tapped into when I started on my quilting journey. Since I am now grandma age, I can look back on the days when my kids were small like yours – and they are precious days indeed! All the best! oh scrumptious littlns they are adorable Ashley!! !